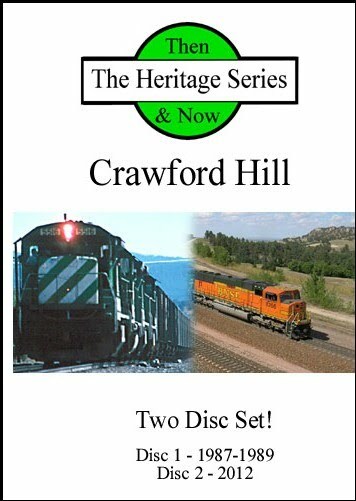 The Heritage Series: Then and Now on 2 DVD’s. A great concept. 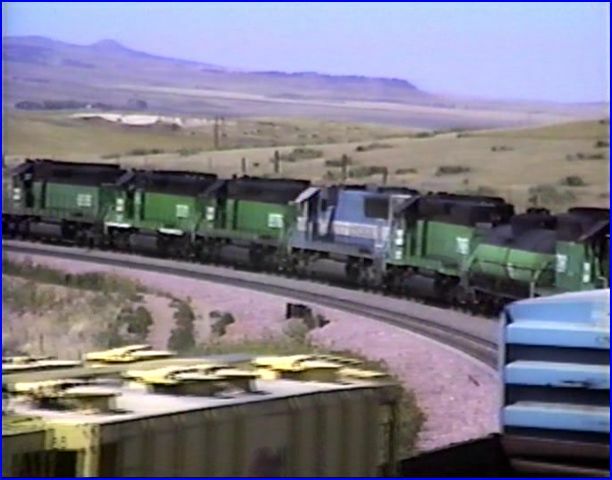 Burlington Northern is featured on unit coal train service on a tough grade, circa late 1980’s. 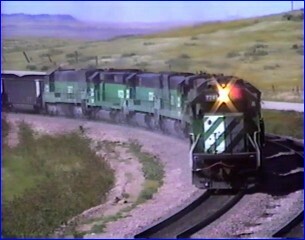 An updated look in 2012 with BNSF is on the second disc. 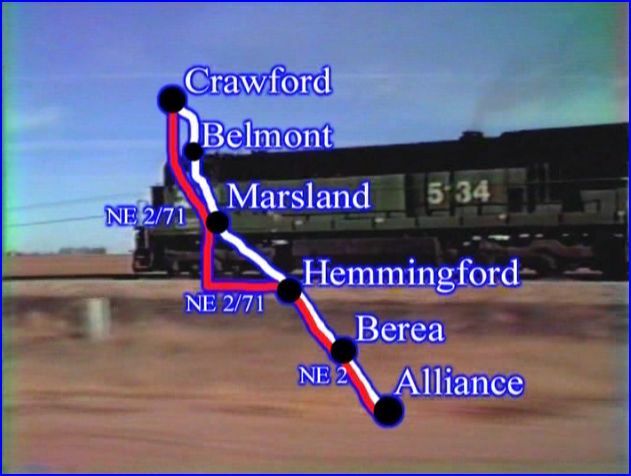 Both begin at Alliance Yard, Nebraska. Majority of action is at and near Crawford Hill, Nebraska. The extended length will either give you hours of enjoyment or wishing it was much shorter. My experience with Diverging Clear, is they have a very high tolerance level for repetition. This is not an approach that works for me. Viewers can jump in on the extensive chapter menus. Fast forward or skip chapters, most everything has a bland sameness. Neither disc contains much to hold high interest. After stating that, there are general improvements overall. 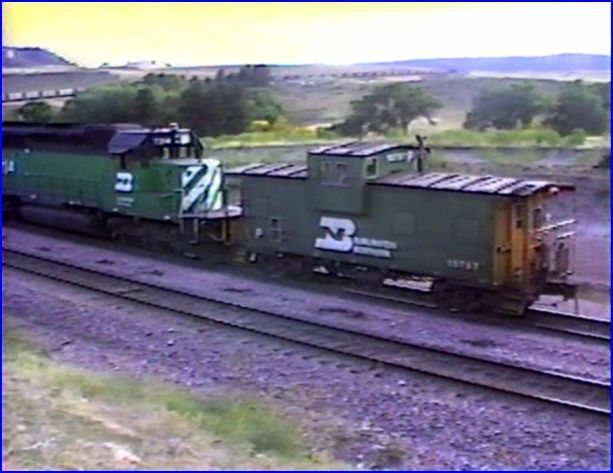 George Redmond is the video source for the Burlington Northern. Here a map is briefly overlaid during a cool pacing sequence. George is solid with his camera. Diverging Clear has been upgrading their productions on a constant basis. This release is the best yet, as far as the technical areas are concerned. Maps are included and more attention to locations. Mary has a good narrative and offers more information. Audio is pretty solid and minimum extraneous sound. The shows play smoothly and are well edited for each scene. Having arranged this new release with 2 individual discs is a fine idea. Here we go. Much of this story centers on the General Electric power. BN fans are aware that the C series u-boats were often in coal service. The 1966 built U30C engines operate with 1976 built C30-7 units. The narrative explains all of this and how leased ‘power by the hour’ played out. 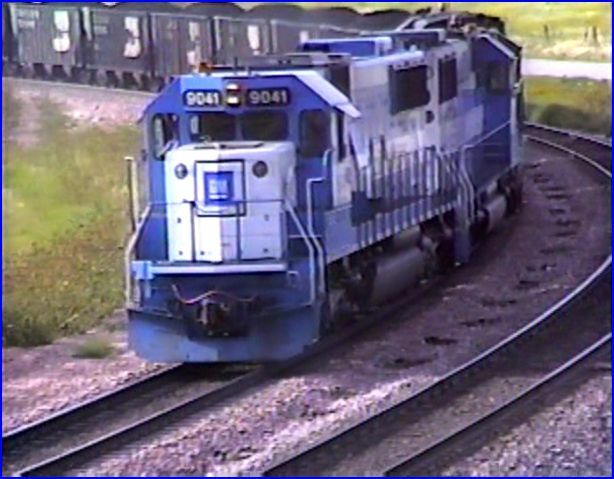 There are plenty of SD40-2 locomotives as well. 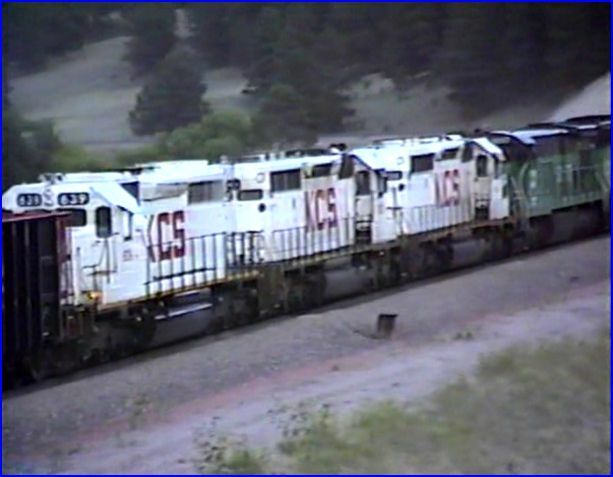 These leased Oakway SD60 class were quite memorable in their factory paint! This was shot on video of the time. It has aged with only minor flaws. Yellow skies appear but not often enough to ruin the viewing. All in all, it is easy to watch. A variety of BN power, although this is 12 axle territory. General Electric U30C diesels were nearing the end of 20+ year careers. C30-7 and cabless boosters also by GE. 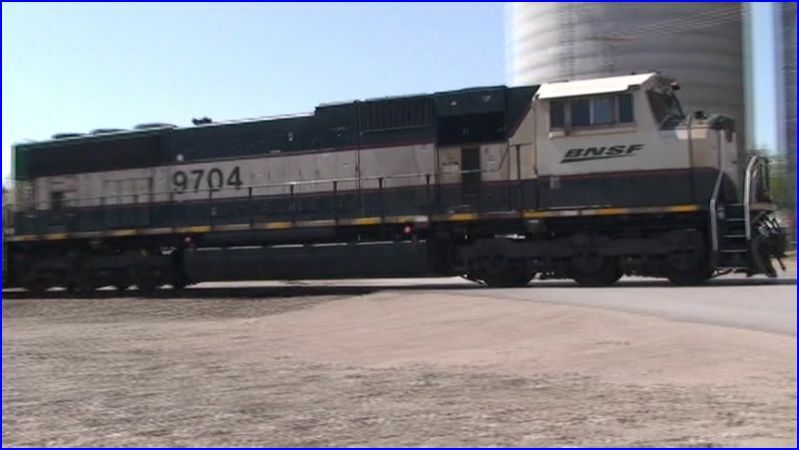 The ubiquitous EMD SD40-2 and leased SD60 models are seen. The LMX C39-8 leased fleet is in it’s prime here. 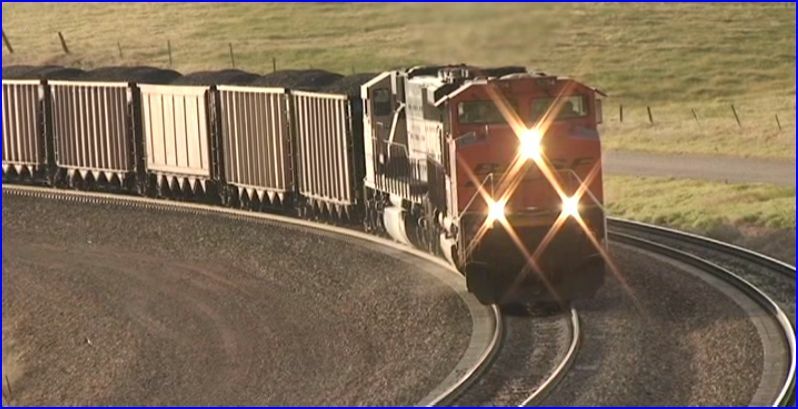 Helper sets push and return on most trains. Fuel tankers are painted BN and are in dedicated service on various assignments. Again, you may find too many return scenes of the same pusher sets. 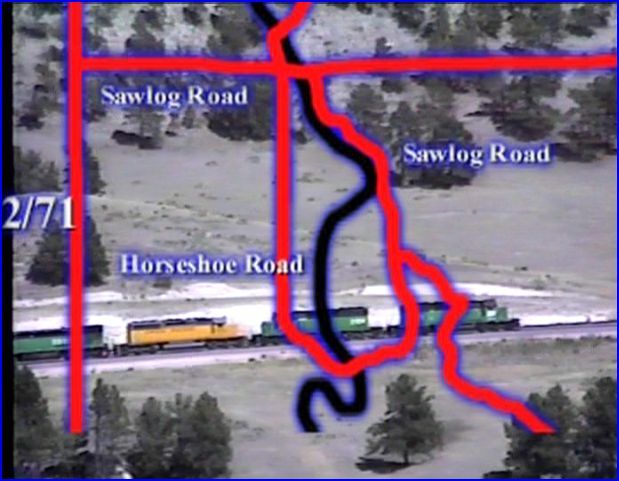 Kansas City Southern, Santa Fe, MKT and Union Pacific provide most of the run through power. Mary McPherson is a woman of many talents. She also is a musician. Instrumental guitar music was written and recorded of her playing. The music serves as a backdrop within the show. Cabooses were still in service on many trains. A former Burlington Route caboose is above. Hoppers are seen with some variety of paint schemes and types. This is by far, the show with more variety. Vintage fans can be satisfied with this show. 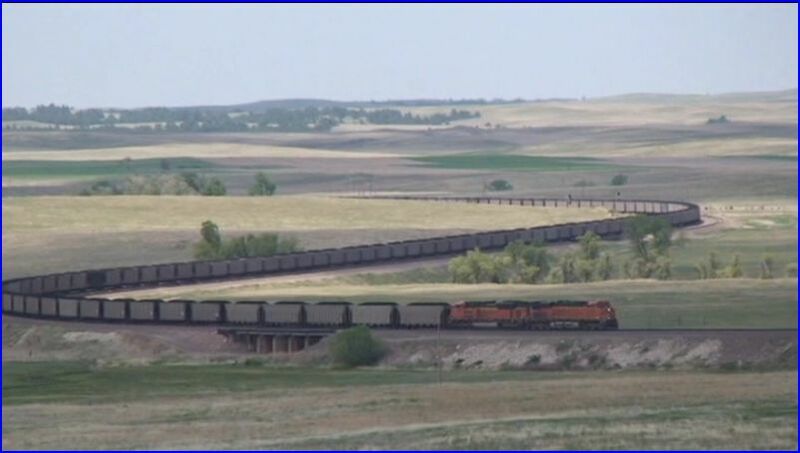 Mary travels around the country to film a variety of railroad subjects. 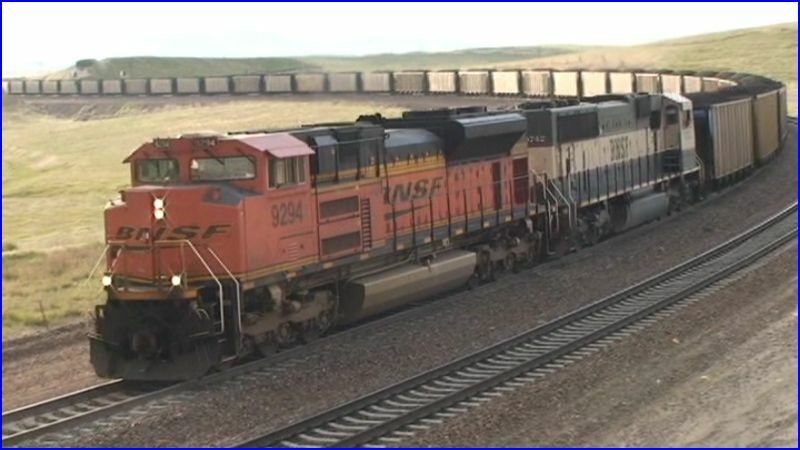 This is a well done look at present day operations on BNSF on the line. If this catches your interest, the viewing will be a good one. Sure doesn’t entice me. Let’s take a look…. Camerawork is pro level. Viewpoints vary. Wide vistas, close-ups and helper operations are all included. A visit to railfan friendly Ponderosa Ranch is a nice extra. 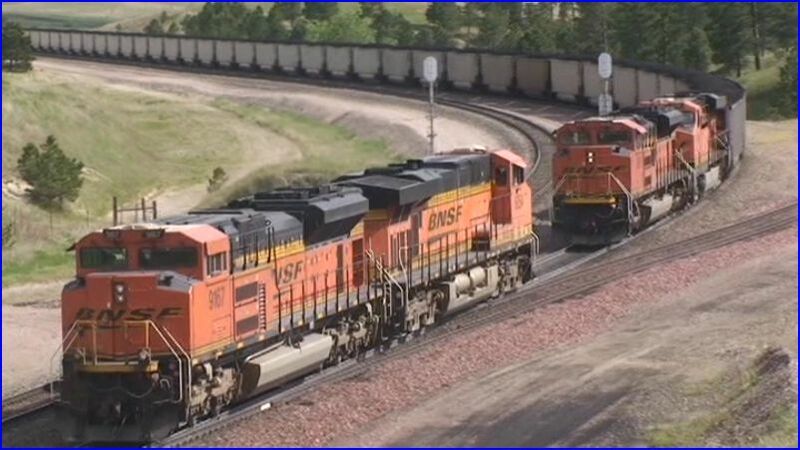 BNSF is populated with large, 3rd generation diesel power. GE CS44CTES are frequently seen as helpers. In 2012, this is a conveyer belt type of operation. Profitable and mundane. Even the new logo is unremarkable. However, Mary has a nice show of this operation. 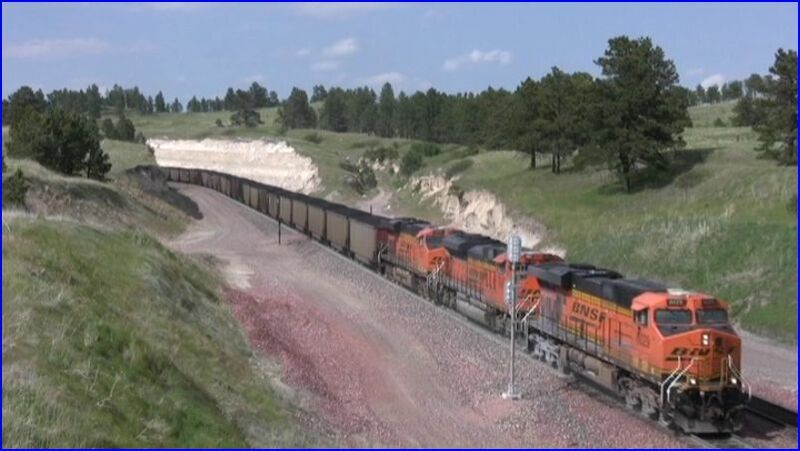 Electromotive SD70ACE and SD70MAC lead this coal train. I find repetitive unit trains as extremely boring subject material. After a few minutes, everything appears to be basically the same. There are additional locations from the first disc. The large number of stored locomotives at Alliance is a sight. Really can’t hold Mary accountable for the times in which we live. It is easy to see why steam era photographers abandoned trackside when that changed. 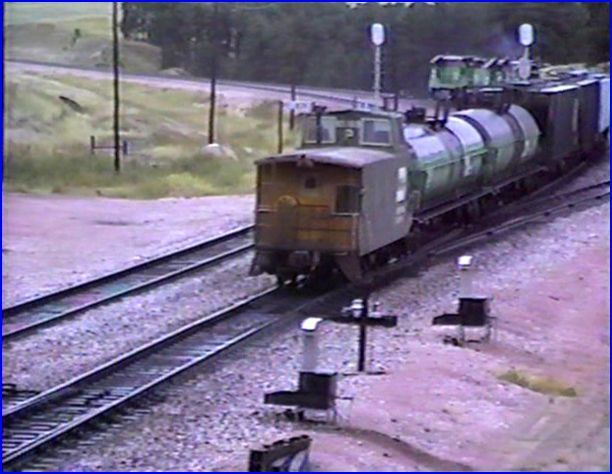 Those who were trackside even up to the late 1970’s witnessed a much broader palette of railroading. The demise of the caboose was about the last straw. Mega mergers and standardization wrapped it up. Crawford Hill contains an older, somewhat interesting BN on the one hand. 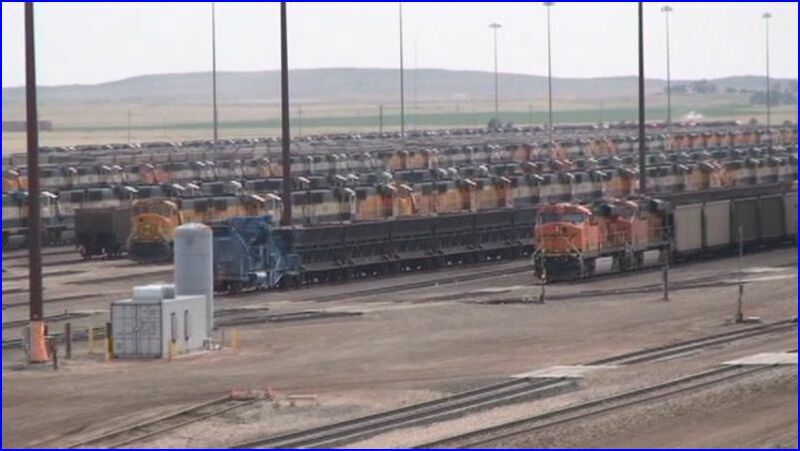 Viewing the 2012 BNSF is as exciting as watching paint dry. Both shows offer nice upgrades in production. Neither will hold viewers attention over the entire program length. Best seen by chapters. As long as these subjects get your attention, they are a worthwhile addition to your collection. 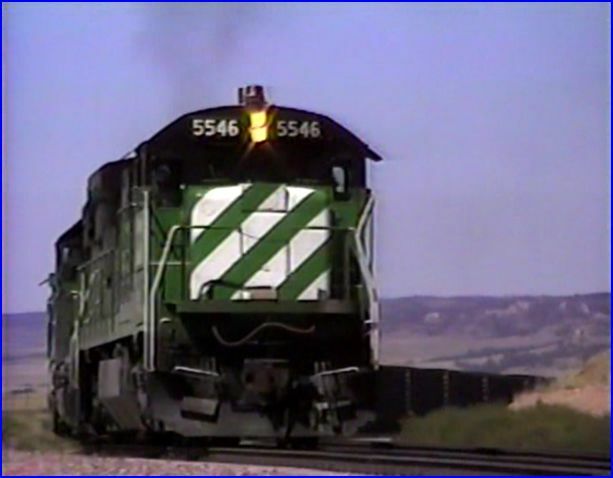 This entry was posted in ATVR Reviews and tagged American Train Video Reviews, Burlington Northern, Chicago railroad, new releases, Railroad, Train DVD, transportation by William J. Hudson. Bookmark the permalink.